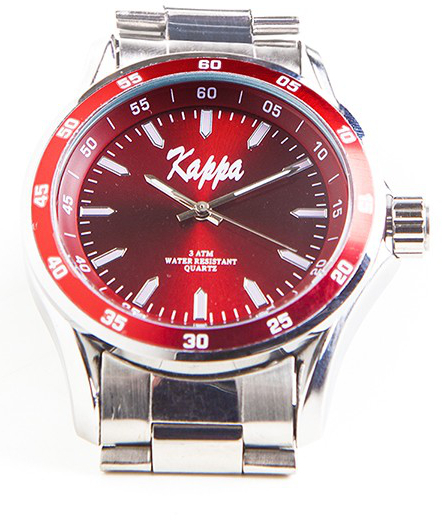 Round-Faced Fraternity Watch. Water-resistant case. Three hand analog display with quartz movement. Bracelet features a fold-over clasp closure with push-button release. This watch has great weight to it.